Much more beautiful than any colour. P.S. : I have no idea what this anime series is about. I just happened to like the scan. 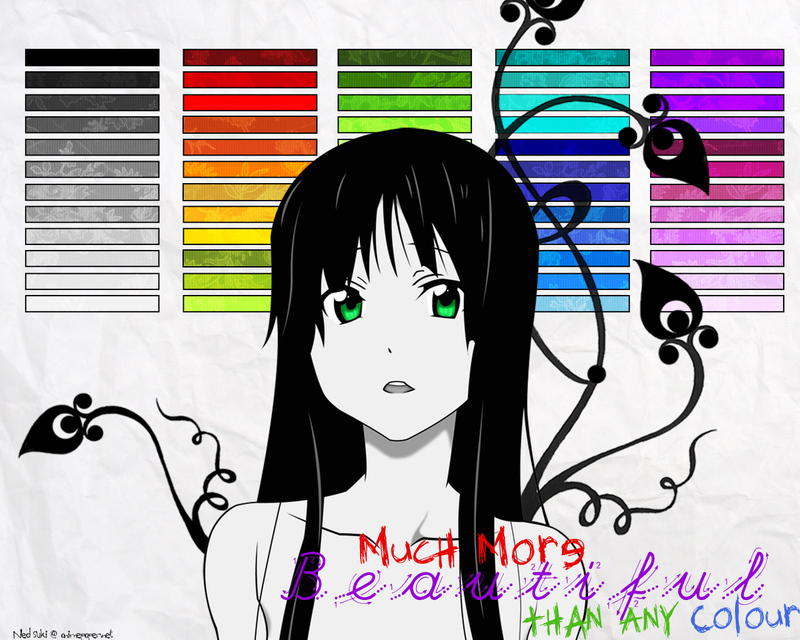 Indeed, Mio is "Much more beautiful than any colour"
Love the use of colours, thanks for sharing!